One of our all-time best sellers, this sectional has lots of style and with it’s generous scale, it has room for the whole family! 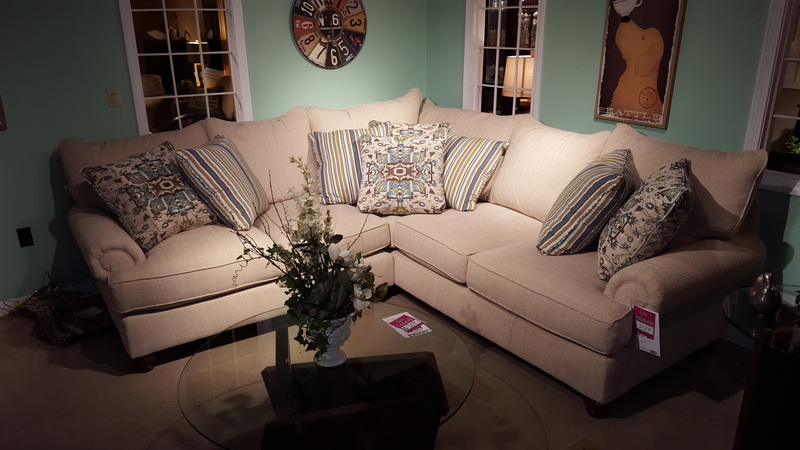 It features loose pillow backs and loads of accent pillows, along with turned legs and a set-back paneled roll arm. But the comfort is what will win you over- deep and plush, this sofa uses our premium cushion and backs to give you a perfect place for relaxing at home. Matching sofa, loveseat, chair and ottoman available as well.